Want to build an eye-pleasing website without hiring a web developer? If yes, website builders are an ideal solution for you. Nowadays, there are numerous inexpensive builders out there that can help you create a modern, clean and fully functional website. Unfortunately, it is little tricky for newbies to find the best website builder. With so many options available, it is not easy to know which is the right solution? If you are struggling to find the right one, don’t be sad. In this post, we are going to make your familiar with some great tips that will surely help you out. If you really want a budget-friendly builder, this is the first thing you should do. In advance, figure out what you can afford. You can start by considering the additional costs involved in creating a professional website. Every website needs a domain name and web hosting. In addition to this, you may have to invest in images and copy for your websites too. With most website builders, you may have to pay between $5 to $50 a month for plans. Before you decide on a website builder, you must have an idea of what you want your website to be and do. It will help in clarifying your priorities. Following questions can help you determine your needs and priorities are. How Good are You in Designing? Most of the websites builders are designed for users who don’t have much experience with website coding and designing. Still, there are a few you will find easier than others. If you are learning from scratch, go for builders that provide drag-and-drop design options and website theme templates. Will You Need an Online Store? An eCommerce website always needs some additional functionalities such as the option for a shopping cart, check out, etc. Therefore, for such websites, you need a design that focuses on getting people to take a step to make a purchase. When choosing a website builder, see whether or not they have the right features and templates that can help you build an online store. What Kind of Media Would You add? You should consider it in the beginning, whether or not your website needs to include videos, a photo gallery, a blog or a map. Look for a website builder that supports the types of content formats you might need in the future. Probably, you are aware of the importance of web design for your business. But do you know why it is so important? Well, according to a survey, 94% people reject online businesses because of their poor web designs. So, never ignore it when choosing a website builder. In a website builder, the design process begins with the themes. You choose one of the available themes and customize it as per the requirements of your business. Do not invest in a website builder that has limited customization options. Make sure you have enough themes options so that you can find the one that is most suitable according to your business niche. Although almost all website builders are far easier than creating a website with the help of web programming and coding, you should look for one that is a newbie friendly and offers you all the basic features. There are many affordable website builders that come with drag-and-drop features to make things easier. You may also look for one having an easy to use editor making each change easy to complete. To know how user-friendly a website builder is you can research about them on reliable review websites. Search engine optimization is a key tool to get more traffic and ultimately revenue. With the regular update of content on the website, SEO can help you to get more traffic. According to a report, 57% of business to business marketers stated that SEO helps in generating more leads than any other marketing strategy. So, if you want your targeted audience to find you on different search engines, make sure your website builder offers you adequate SEO features. 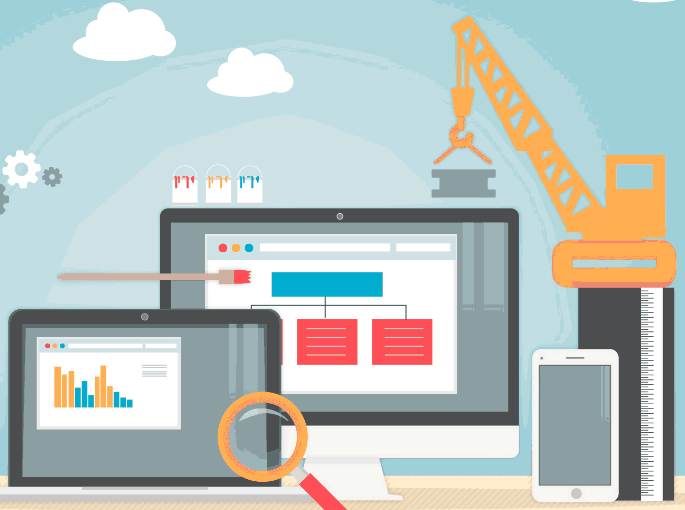 Remember, a good website builder should allow you to do better on-site optimization. Check out if you can add SEO meta elements on each page such as alt tags, meta description, sitemap, etc. With any website builder, you will take some time to learn the features you are being offered. It will be an advantage if your website builder offers you resources to learn their functionality and features. A reliable website builder should offer you both video and text tutorials on how to use different features and make the different changes when designing a website. 24/7 support is another feature you must take a look at when choosing a website builder. Website builders are a great solution to build a feature-rich website in a budget. Without using in-depth coding, you can build a professional looking website. We hope with the tips mentioned in this blog post now you have a better idea what should you look for in your potential website builder. So, get a good website builder as per your business nice and do share your experience with us.